Illegal health clinics are cheap options that often prove costly mistakes, say experts. He Na reports from Beijing. Poor families and migrant workers in China's biggest cities are putting their lives at risk by using illegal, cut-price medical clinics. 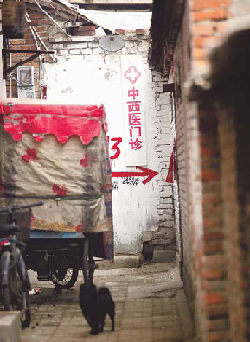 Botched treatment by "back-street doctors" killed at least six people in Beijing alone last year and health experts fear that the demand for their services among low-income groups, particularly the migrant workforce, is on the rise. Of the 3,000 unlicensed centers closed down by the capital's health bureau in 2009, 3 percent had caused either a death or permanent damage to a patient's health, said officials. One of those killed was Liu Lisheng, in his early 30s, a migrant construction worker from Shanxi province, who died after being given a fatal dose of penicillin at a clinic in the city's Chaoyang district. The laborer, who was complaining of stomach pain, was seen by a "doctor in his 20s" and was immediately hooked up to an intravenous drip, recalled colleague Li Jun, who was with Liu at the clinic. "Liu said he felt uncomfortable after the first bottle but the doctor insisted he have another. His face went deathly pale and he could barely speak." Realizing Liu was allergic to penicillin, the doctor gave him two antihistamine injections. The patient then collapsed and, despite protests from staff, Li called an ambulance. Liu was rushed to the city's Oriental Hospital where he was pronounced dead. "Doctors at the Oriental Hospital said whoever gave him penicillin should have checked if he was allergic first," said Li. "We didn't know it was an illegal clinic. We had no idea what could happen." The owner of the clinic, a man surnamed Wang from Anhui province, was detained by police and ordered to pay compensation to the victim's family, said an official with the district health bureau. Wang had been caught practicing medicine without a license three times before Liu's death. Each time he simply reopened his clinic once police left, said health bureau staff. Police in the capital also detained a doctor surnamed Miao at an unlicensed suburban clinic last December following the death of a 16-year-old boy due to malpractice. 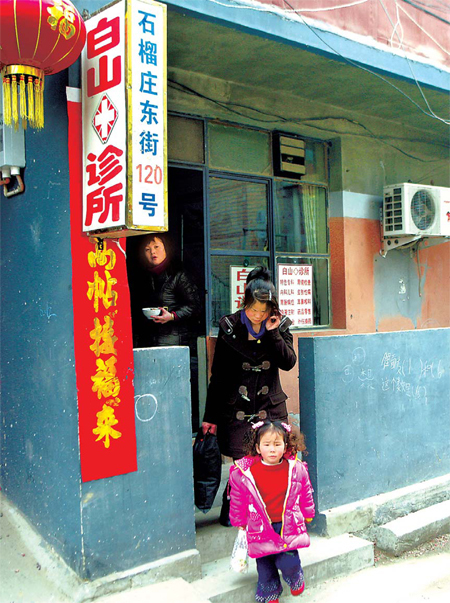 There are potentially thousands of back- street medical centers in operation in every major city in China, according to analysts. As they are often hidden in small hutong or large apartment complexes, authorities say they are tough to trace. However, although they usually advertise only through word of mouth, some post small ads at construction sites or on telegraph poles in areas with large migrant communities.